Anna Mason's exceptional floral artwork has won awards from the Royal Horticultural Society, International Artist magazine and seen her elected to the prestigious Society of Botanical Artists. 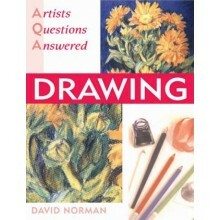 In this book, she shares her innovative watercolour technique so that you can paint flowers in her clean, crisp style. The book covers every aspect of painting modern botanical-style portraits of flowers, from tips on gathering your reference to Anna's six stage watercolour process. There are instructions on setting up your studio and how to produce the detailed drawings. Each of the six step-by-step projects is accompanied by an outline drawing, tonal notes and useful colour swatches so that you can compare the tone and hue of your mixes to Anna's own. 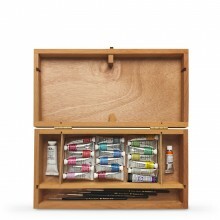 This all builds into a fantastic guide that will inspire and challenge the experienced watercolour artist, while drawing in and reassuring the complete beginner.